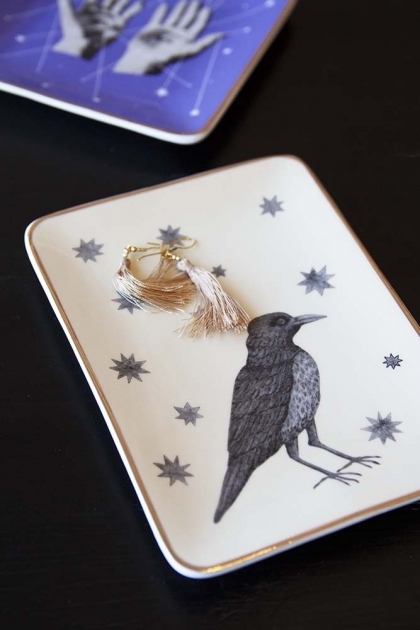 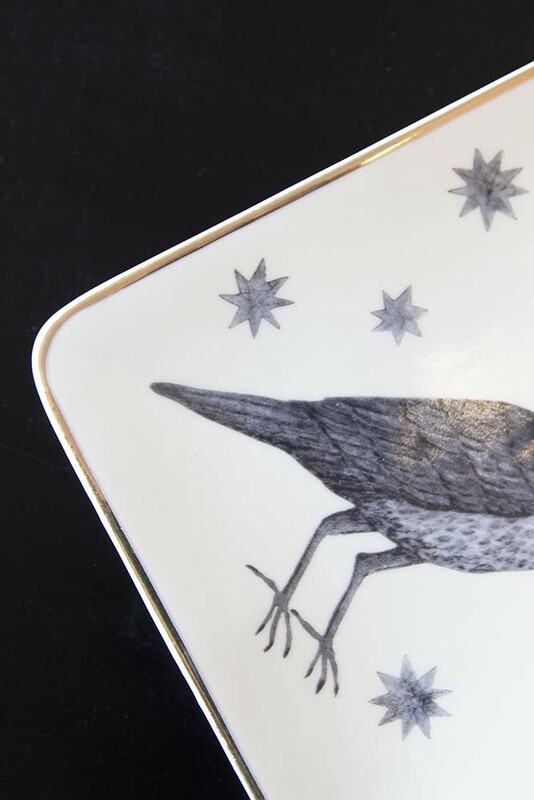 Featuring Kiki Smith's work "Bird with Stars", this trinket tray is not only practical for housing your keys, jewellery and other trinkets, but we also think it will look great as a display piece on your coffee table or mantelpiece or why not hang on your wall as part of an artistic picture wall display? Looking for a gift? 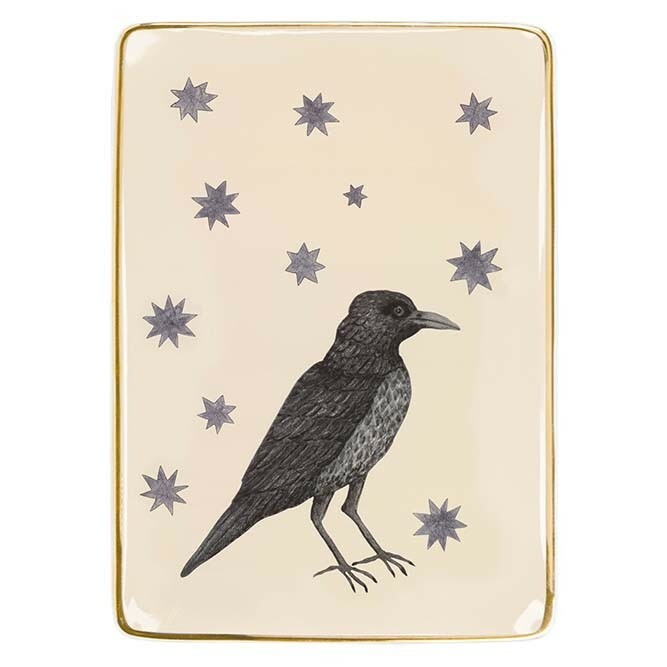 The beautiful design of this Crow & Stars Gold Rim Trinket Tray is perfect as a token gift or stocking filler for a friend or loved one.